We all need encouragement in your life, don’t we? Often in our life, we need motivation and inspiration to keep moving in the darkest times. All we need is a little push from some of the wise people in the history. Their encouraging quotes can inspire us for life and help us to succeed. Famous people in history have already gone through the tough times and that’s why they are the only teachers we need in our life. Their encouraging quotes come from the things they have experienced in their life and these encouraging words from them is a pure gold for the people who are looking for inspiration. Read these motivating and encouraging quotes, and try to learn the life lessons from these wise words. 1. 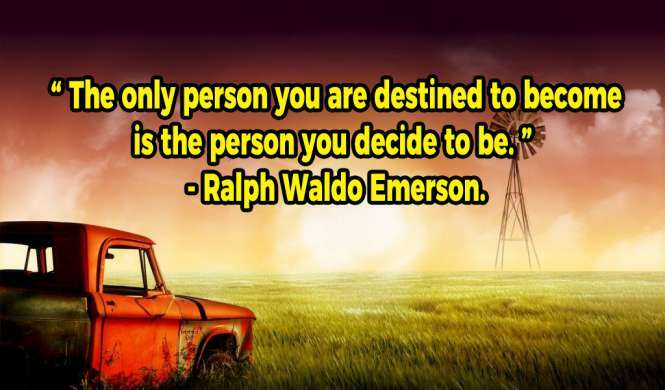 “The only person you are destined to become is the person you decide to be.” – Ralph Waldo Emerson. 2. 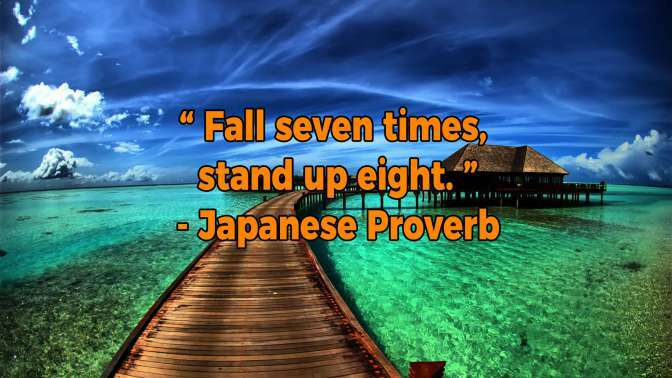 “Fall seven times, stand up eight.” – Japanese Proverb. 3. 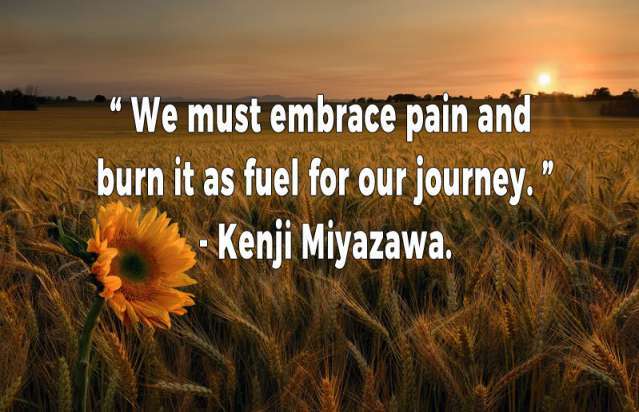 “We must embrace pain and burn it as fuel for our journey.” – Kenji Miyazawa. 4. 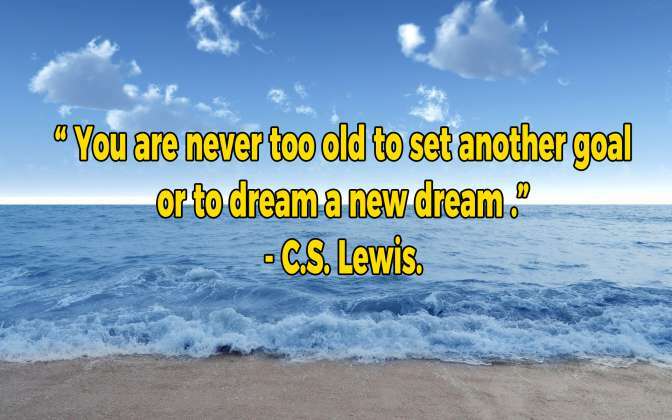 “You are never too old to set another goal or to dream a new dream.” – C.S. Lewis. 5. “Start where you are. Use what you have. 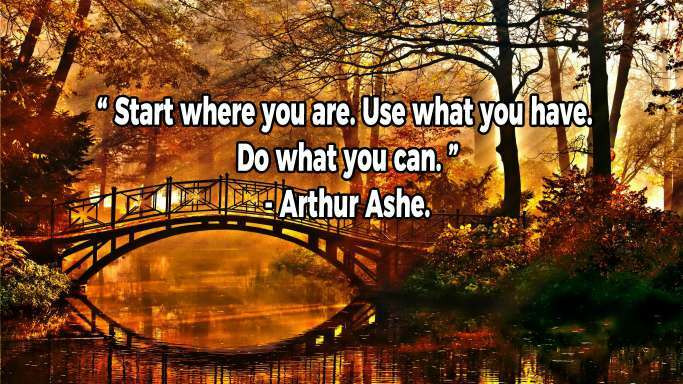 Do what you can.” – Arthur Ashe. 6. 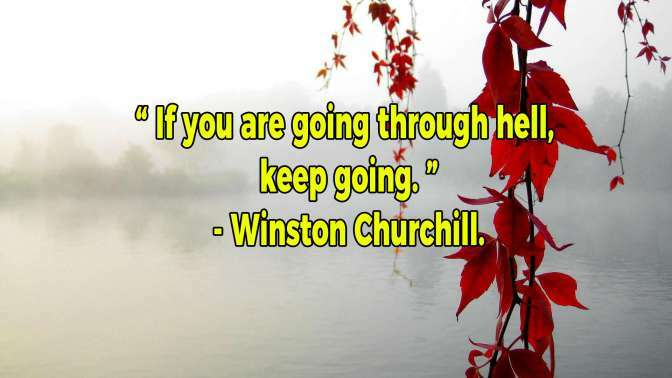 “If you are going through hell, keep going.” – Winston Churchill. 7. 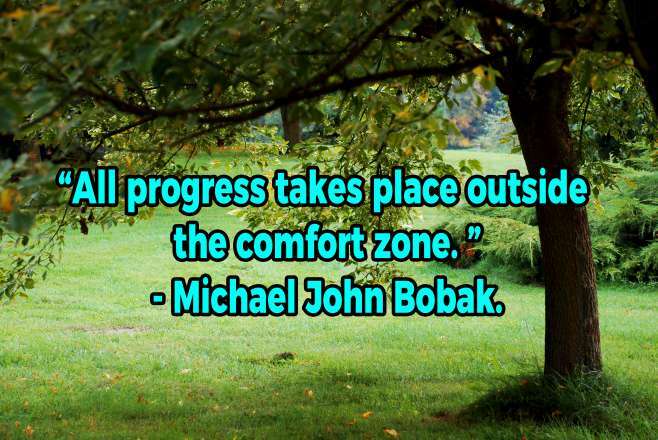 “All progress takes place outside the comfort zone.” – Michael John Bobak. 8. 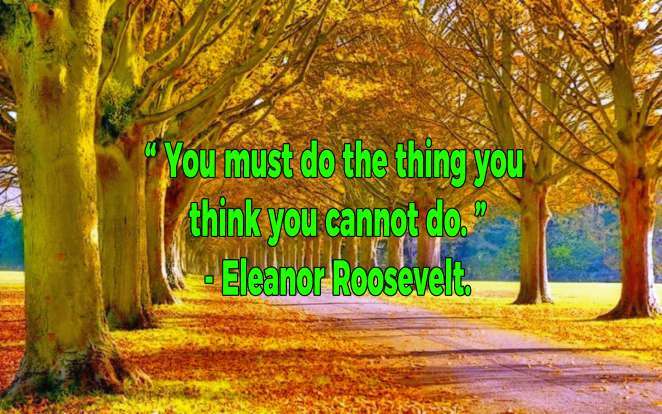 “You must do the thing you think you cannot do.” – Eleanor Roosevelt. 9. 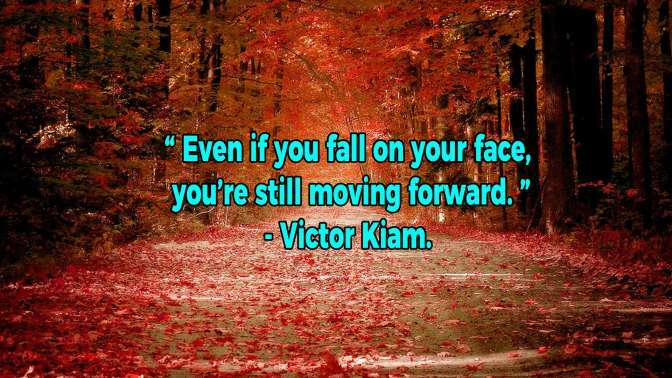 “Even if you fall on your face, you’re still moving forward.” – Victor Kiam. 10. “Don’t be afraid to give up the good to go for the great.” – John D. Rockefeller. Related: 10 Sweet And Short Inspirational Sayings To Keep You Motivated. How did you find these wise encouraging quotes? Share your thoughts with us in the comments section below. If you liked these encouraging words, do share this post with your friends and loved ones.